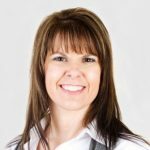 Leah Welsh — founder and owner of Strategic Accounting Solutions, LLC — is a QuickBooks Certified Professional Advisor and an Intuit Premier reseller with over 25 years of professional experience in the field of accounting and consulting services. Work For Strategic Accounting Solutions, LLC? Claim This Page.